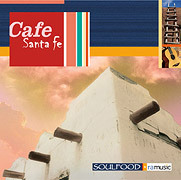 DJ Free and Emmy® winner Ron Cohen, Ra Music, innovatively merge Spanish guitar, atmospheric soundscapes and downtempo beats with chill grooves to take you to a place where the Southwest and European café culture meet. The beautiful desert Southwest and its rich culture, art and music inspire this melodic journey. The perfect compliment to your next soiree or dinner party. Special guests include keyboards, organ, piano and Rhodes by Peter Schimke; woodwinds by Richard Hardy; drum kit by Stokley Williams of Mint Condition; Native chants by Ojibwe elder Anakwad and Grammy® winner Rita Coolidge and bass by Enrique Toussaint.